Aircraft EI DLR taxiing, EI FDH landing and taxiing and EI EME taxiing. In response to our public consultation process, which discovered that many Essex residents have noticed increased air traffic across the county in recent years. 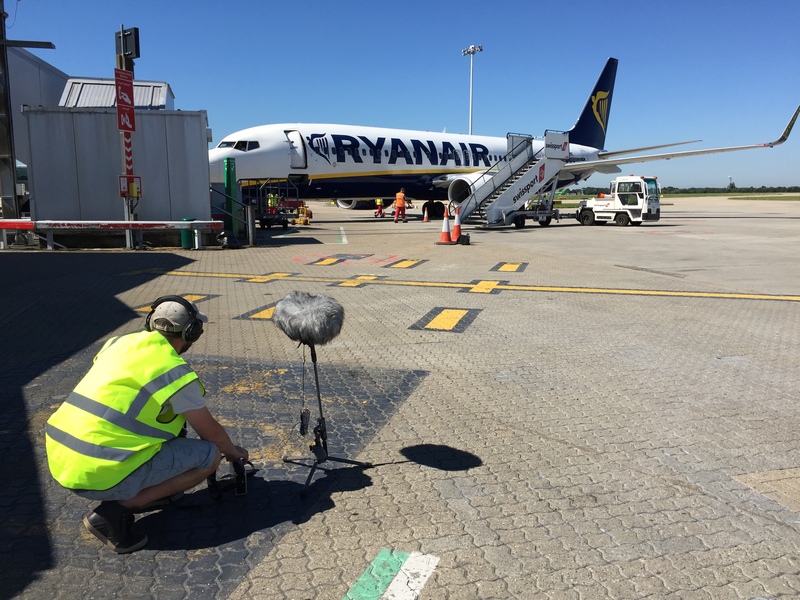 Sam Lomax, Terminal Facilities Co-Ordinator at Stansted Airport, was very helpful and accommodating in our request to document some of the sounds at Essex’s largest airport. This included areas such as the departure gates and lounge, ‘High Street’ where the duty free shops are located, the transit system, baggage loading and reclaim, and aircraft taxi-ing and landing. I even manage to record the airport fire alarm which had been activated somehow, even though there was apparently no fire.